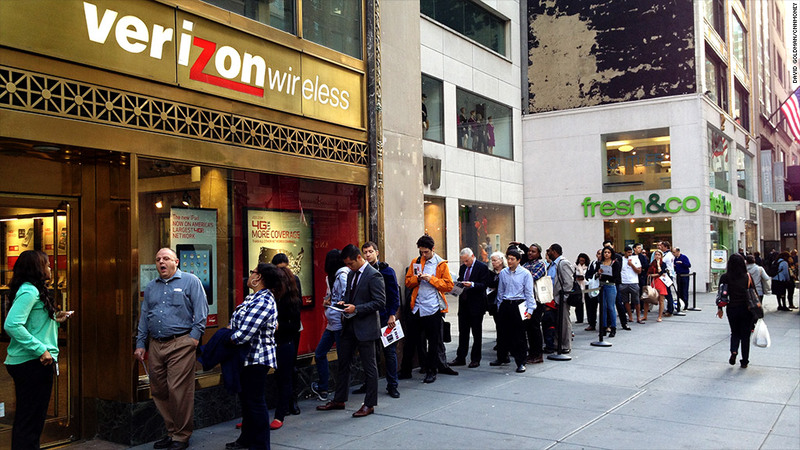 Long lines for the iPhone 5 didn't result in huge sales. Verizon did just fine anyway in the third quarter. Verizon sold 3.1 million iPhones last quarter, only 651,000 of which were the new iPhone 5. 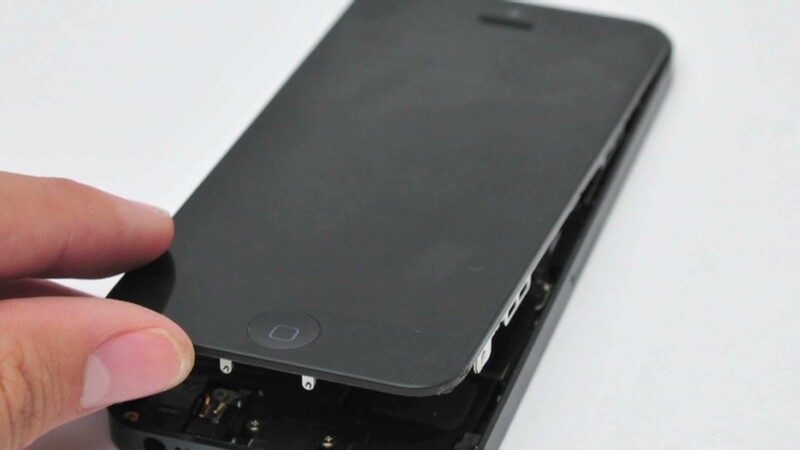 The nation's largest wireless carrier blamed Apple's iPhone 5 supply constraints, not weak demand, for the surprisingly low number of iPhone 5s sold in their first week on store shelves. The highly anticipated smartphone went on sale on Sept. 21, only 10 days before the end of the third quarter, yet Wall Street analysts were still expecting an iPhone 5 sales number almost twice as high as the one Verizon (VZ) actually reported. What might be a disappointing number for Apple (AAPL) turned out to be a blessing for Verizon Wireless, which posted a record profit margin of 50%. Thanks to its industry-high subsidy of about $400 per iPhone, Apple's smartphone tends to decimate carriers' profit margins, particularly when new iPhones launch. The iPhone can be quite lucrative for carriers in the long run, but the huge rush of subscribers upgrading to the new device tends to have a nasty immediate impact on their bottom lines. Fran Shammo, Verizon's chief financial officer, said on a conference call with analysts that the company expects a higher volume of iPhone 5 sales in the current quarter, and, accordingly, "some deterioration of margin" over the next three months. Yet Verizon has worked hard to insulate itself from the giant margin swings of the past. Over the past year, Verizon has instituted a $30 activation fee for new cell phones, ended a "New Every Two" subsidy for existing subscribers, forced new and upgrading customers to adopt tiered data plans, and introduced shared data plans that encourage higher data usage. Though some of the new customer plans can actually prove cheaper than the one they're replacing, Verizon is still making more money overall on the new plans as customers ramp up their gigabytes. That increasing data usage is "more than making up for customers optimizing their accounts," Shammo said. Despite the worse-than-expected iPhone 5 numbers, Verizon still managed to activate 6.5 million smartphones over the past three months -- more than any quarter in its history except for the fourth quarter of 2011, when the iPhone 4S first went on sale. Verizon's 1.5 million net new customers under contract was its highest number of customer additions in four years. By posting a record profit margin in a quarter with such an extraordinary level of highly subsidized smartphone sales -- 53% of its customers now use smartphones -- Verizon proved that its tactics are starting to pay off. More than 13% of Verizon subscribers signed up for Share Everything Plans, exceeding the company's expectations. In addition, Verizon said capital expenditures will be lower in 2012 than in the previous year, and they will continue to sink going forward, because the bulk of its 4G-LTE network rollout is behind it. Verizon reported earnings of $1.6 billion for the quarter, up 16% from a year ago, on sales of $29 billion, up 4% from the third quarter of 2011. Both were in line with Wall Street's expectations. Shares were up more than 1% in morning trading. Rivals AT&T (T) and Sprint (S) are on tap to report their earnings next week. Sprint, which recently agreed to sell a majority of the company to Japanese tech giant Softbank, secured a majority stake in wireless broadband company Clearwire (CLWR) on Thursday. Sprint had held a 48% stake in the company, which is a key supplier of wireless spectrum. It now holds just under 51% of the company.